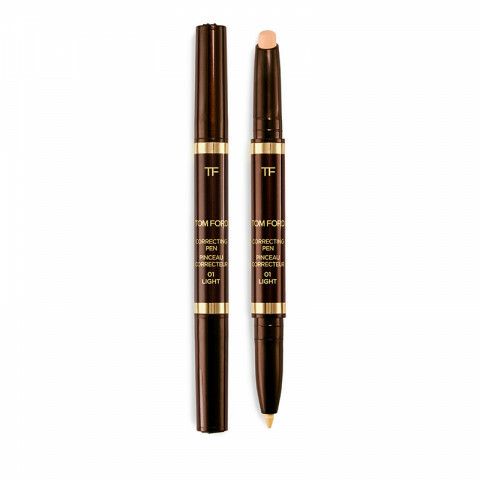 Tom Ford created this innovative, dual-ended pen to help perfect the complexion in target areas. The peach-pink correcting shade at one end brightens and neutralizes dark areas and diminishes the look of age spots. The yellow-based shade at the other counters redness and broken capillaries to even skin tone. Use alone or with Tom Ford Traceless Foundation and Concealing Pen. Can be used under eye. Available in light, medium and dark shades.